This shot, was taken on the Tharon Beach in France, with a beautiful sunset. 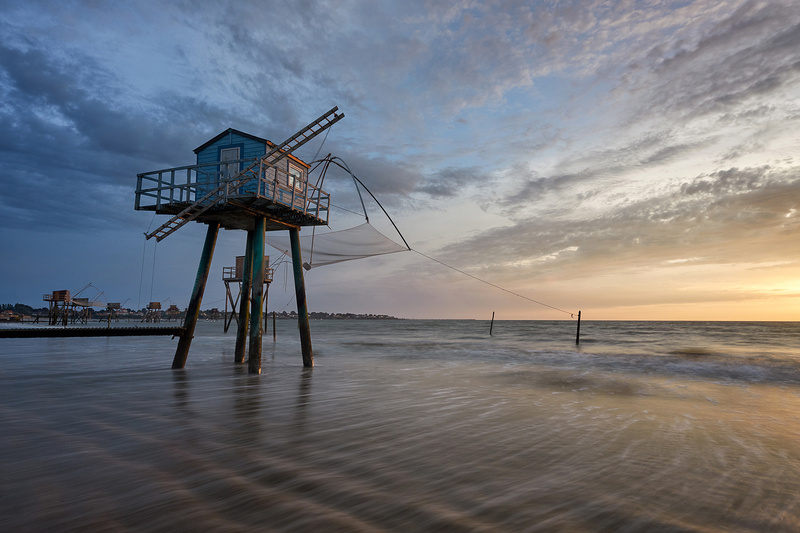 This Fishing cabins, are used to catch fishes while the tide is high, today, some are rented to tourists who wants to spend a special night over the sea. Hi Lionel, if you love those I recommend Talmont sur Gironde, a historic village right on the Garonne river.